The amount of digital data being created and stored is growing at breakneck pace, estimated at around 40% growth annually . Just think about the amount of data saved on your smartphone, computer, and smart TV: work presentations, video, music, movies and all the memory-crippling data that makes up your daily life. And if you think a lot of it is ‘in the cloud’, well that may be the case, but it’s really just saved on a giant server located somewhere, probably owned by Google or Facebook. Over the next 20 years, various estimates suggest we will be using up to 75 billion electronic devices connected to the internet. It’s a rising and fast approaching tsunami of data that needs to be stored somewhere. 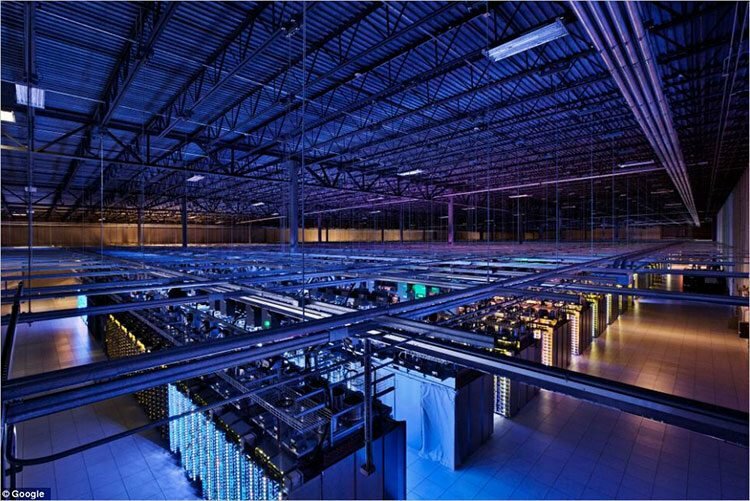 How are Google, Facebook and all the other large corporations expected to store the globe’s cloud data going forward? So far, the brunt of this storage challenge has fallen upon flash storage devices such as USB disks and internal hard drives of either the standard or the more efficient ‘solid state’ variety. Despite the best efforts of memory storage manufacturers, the amount of storage available is losing ground to how much storage is actually required. And it’s a frustration for you, me, them... everybody. There is one company currently going through the process of a reverse take-over (RTO) and is set to launch on the ASX... that looks like it is ready to shake up the global memory market. This company’s memory solution could help businesses to transform their entire IT server farms – making them smaller, faster, cheaper... and more power efficient. However this is still an early stage technology play and there is no guarantee of success should you choose to invest. The company’s technology was invented and is backed by one of the world’s leading scientists, the company’s Chief Scientific Advisor, Professor James Tour, who was named Scientist of the Year in 2013. This technology has been field tested and validated by NASA – demonstrating that’s its applications extend beyond Planet Earth alone. The company plans to fill a market gap through patented breakthrough technology that will increase storage space, reduce production and maintenance costs and improve access speeds all in one fell swoop. With storage space issues gradually becoming a bottleneck for many data-intensive companies including the likes of Google , this storage provider is on course to transform data storage in a flash. Radar Iron Ltd (ASX:RAD) is moving from iron to silicon. With the iron ore price continuing to be in the doldrums, we have seen several exploration companies turn to the tech sector for opportunities to improve their chances of generating shareholder wealth. RAD is moving to the future, via a reverse takeover of Weebit Nano Ltd, an Israeli technology company currently at the forefront of digital memory technology. Israel has only eight million people, but it boasts 6000 start-ups and attracts more venture capital per person than any other country in the world. In fact some people are calling Israel the next Silicon Valley . There is an air of entrepreneurialism in Israel which is highly attractive to investors – including those in power at RAD. Seven years in the making, Weebit’s tech has the capacity to take the storage space sector from puddle to ocean. As a society we’re creating more data than we can store. 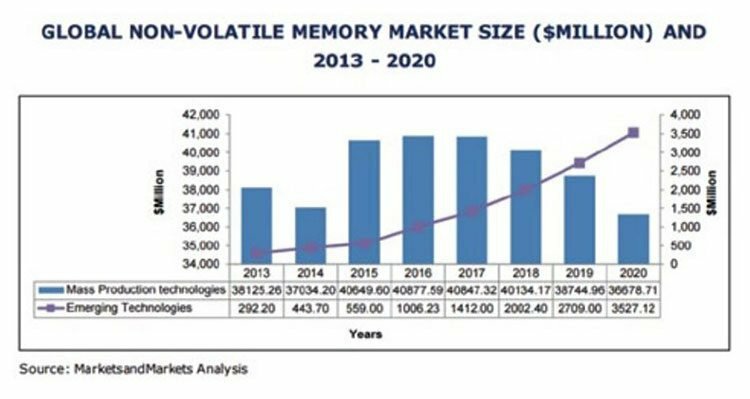 And that’s leading to point break for the US$37BN memory storage sector about to mushroom to over US$70BN within the next five years, growing at an estimated CAGR of 38.25% from 2014 to 2020. Weebit is positioned to deliver the paramount solution to this $37BN market. The main problem is that flash memory is no longer meeting performance requirements as we continue to store more and more information. Large corporations in particular, are constantly upgrading their storage infrastructure which is costly and time consuming. A viable evolution towards a more efficient way of storing data is now a necessity for both businesses and individuals – enter RAD’s RTO of Weebit. To ensure its cutting-edge products get to market, Weebit is set to be acquired by RAD via the issue of 750 million shares in exchange for 100% of Weebit. The transaction is expected to complete in early 2016 (i.e. in the coming weeks), subject to shareholder approval on both sides, and a capital raising of $5MN as part of the ASX re-listing. RAD has already paid a $75,000 option fee for an exclusive 28 day option to purchase Weebit. A further $75,000 is payable after completion of due diligence, which was completed on 7 January . The lodgement of prospectus with ASIC is scheduled for 18 February, and RAD’s shareholder meeting to approve the acquisition of Weebit is planned for 7 March. Closing date for prospectus is indicated for 18 March, and holding statements are to be dispatched on 29 March. Then, on 13 April, the metamorphosis will be complete, with RAD relisting on the ASX with a new ticker as Weebit. So, right now there are still a few more hurdles to jump through, and the RAD deal with Weebit is not 100% complete and consummated – so this is a speculative tech investment, and caution should be applied when considering this stock for your portfolio. Weebit has set itself a huge target – to become a best-of-breed provider of physical storage over the next 2-to-3 years. The reason such a target could be achievable is because of the convergence of macro market factors outlined below and Weebit’s technological supremacy served up by a patented process that remains secret (more on the patents later) . Weebit plans to have its ReRAM technology in the hands of all of these major players. And looking at the market verticals, you can see the kinds of markets Weebit could be plugging into – everything from smartphones to the space industry. Let’s now take a more in-depth look at the technology that will take Weebit to market and help the company make money. ReRAM, otherwise known as resistive memory cells, stores data by creating resistance in a circuit rather than trapping electrons within a cell – which is how your regular flash drives work. Scalability: 10 times smaller cells with the ability to store more information on the same surface area. The focus for this wee bit efficient company is to vastly improve the efficiency of memory storage in order to make it larger, cheaper, less energy intensive and therefore, more marketable to consumers and companies. The general feeling is that this can be done through ReRAM technology. It’s clear that the front-runner to replace flash is ReRAM technology. This is what Weebit specialises in, and what attracted RAD in the first place. 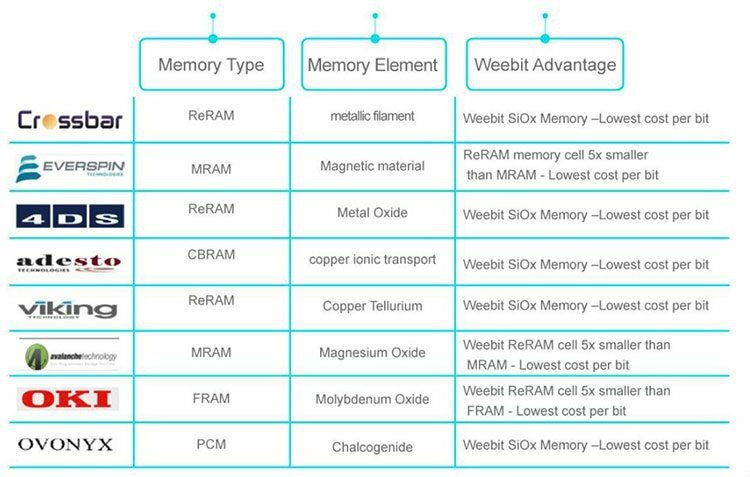 Prospective Weebit corporate customers, and RAD investors, will be buoyant in the knowledge that its products offer the lowest storage cost per bit compared to all other competitors. This is due to its SiOx (silicon oxide) ReRAM cell being significantly smaller than comparative MRAM, CBRAM, FRAM and PCM alternatives. In storage, the more you can scale down, the better the performance – but there is a limit to how low you can go. 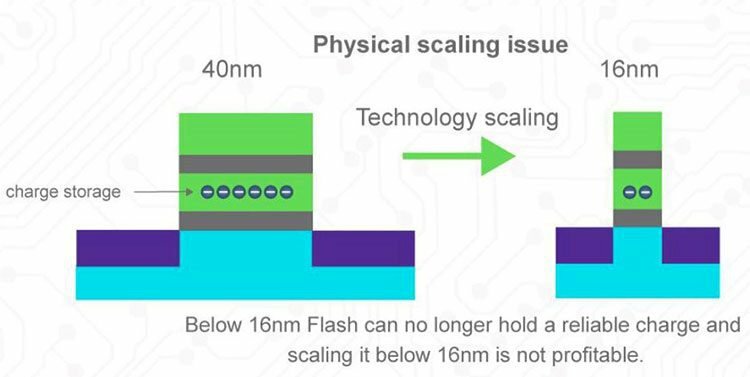 When storing data, the physical scaling issue prevents microchips going below 16nm without losing commercial viability or becoming unstable in performance. At the same time, the world’s demand for memory storage is doubling every two years and screaming out for a higher performance memory device. Weebit’s Scientist of the Year , Chief Scientific Advisor and shareholder Professor James Tour has found a way to circumvent this problem and achieve smaller chipsets without compromising functionality or cost. When it comes to developing cutting-edge technology that will set your business above other competitors, it helps to have a world renowned genius professor with academic clout in your corner. That must have been Weebit’s thinking, because it secured the services of Professor James Tour as its Chief Science Advisor. 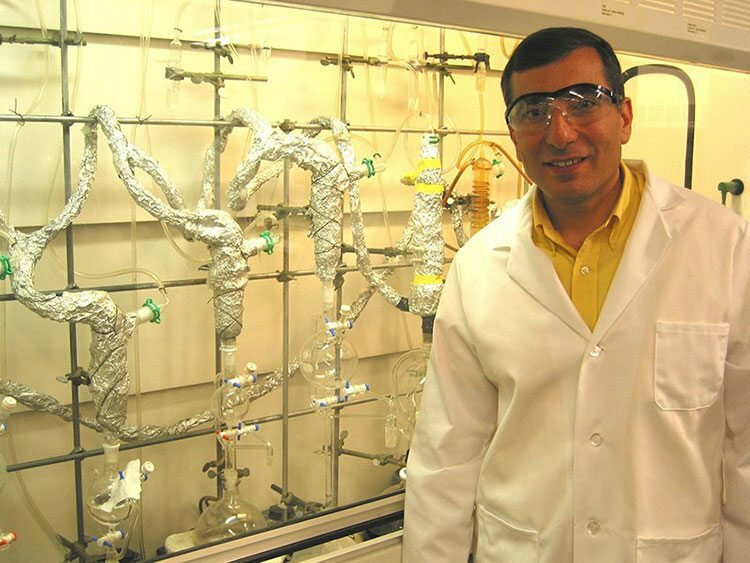 Professor Tour is a world-leading synthetic organic chemist, specialising in nanotechnology. Office of Naval Research Young Investigator Award in 1989. In 2005, Tour’s journal article Directional Control in Thermally Driven Single-Molecule Nanocars was ranked the Most Accessed Journal article by the American Chemical Society. 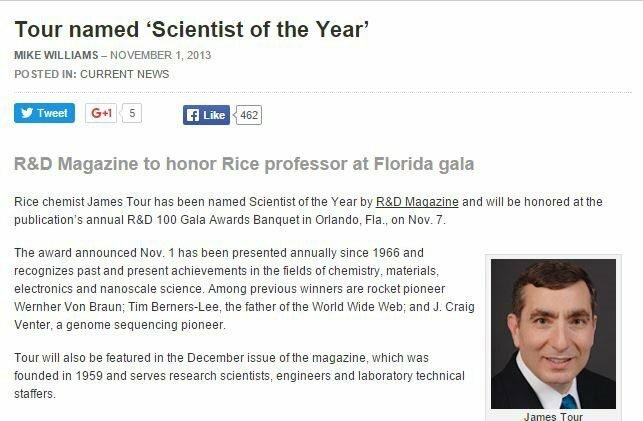 Professor Tour currently lectures at Rice University in the US and is considered a true heavy-hitter when it comes to research and development of nanotechnology that just happens to be a snug fit into memory storage applications. Rice University is a leading research laboratory for nanotechnology and regularly births nanotechnology PhD scientists because of its strong reputation and cutting-edge studies. Tour’s knowledge and understanding within the realms of Weebit’s product design is what underpins Weebit’s business model and production processes, while the patents underpin Weebit’s market strengths. Weebit’s production process actually makes its nimble products cheaper and because of their smaller size, they consume a lot less power. For consumers, this would mean their USB disk downloads and uploads data faster, with less overheating and more storage. Professor James Tour is a big coup for RAD, as the company goes about finalising its reverse take-over of Weebit. You can see even CNN are talking up James Tour’s tech breakthrough , and it is chiefly RAD via its acquisition of Weebit that is poised to benefit commercially from this. But that’s the small fry. The big potential value add for RAD and its investors is how Weebit’s technology can be applied to corporate operations where all of the above advantages are magnified across millions of servers and storage centres. ... and that could translate to big things for Weebit’s revenue. But equally, this is pre-commercialised technology, and Weebit may not get to this stage – there is no guarantee of success here. Large multinationals already have terabytes of data being generated on a daily basis – and these guys need a solution, and fast. The article takes an in-depth look at the Professor’s breakthroughs in ReRAM technology which are extremely appealing to memory companies and can be used for exotic new devices like transparent flexible memory chips, whilst also allowing manufacturers to fabricate devices at room temperature with conventional production methods. There is so much confidence in this tech, that it even caught the attention of NASA. When it comes to durability and stress testing, there is probably no better place to do it than at NASA. Sending your tech into space and seeing it come back in full working order suggests your product is on the right track. 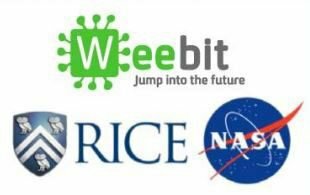 In 2012, Rice University collaborated with NASA to send several memory chips into space for a two year period in order to “demonstrate robustness of the chip circuits when exposed to solar and other cosmic radiation”. Why is this important for Weebit? Because if your memory chips can survive harsh radioactive solar and cosmic rays with zero impact on their performance or durability, it tends to mean they will survive unpredictable earthly environments too. Weebit’s memory chips received a ‘Hard-Rad’ status from NASA, meaning they are “impervious to the effects of radiation”. Weebit’s tech can become part and parcel of future space exploration , it could also be used for satellites and other earth orbiting technology that requires high-capacity data storage. These days everything tends to require high-capacity data storage including your on-board car computer and even kitchen appliances. The Internet of Things, or what is now becoming known as The Internet of Everything, has changed the playing field for electronic devices. They not only have to do their designated job but also, to be interconnected to other devices with dynamic inter-functionality as a prerequisite. The advent of metadata and the collection of vast swathes of data in real-time is heaping huge pressure on data centres, cloud-computing providers and corporate networks. There is a chance Weebit can woo the satellite and military niche of storage demand, currently worth around US$300MN per year considering the Hard-Rad status bestowed upon it by NASA. Also working in Weebit’s favour are the patents it has secured. With James Tour on board, Weebit has secured seven global patents through Professor Tour to protect his advancements in memory technology. The patents were given to Weebit in exchange for a stake in the company. Professor Tour believes the world will become like that portrayed in the movie Minority Report , with flexible, rollable digital ‘newspapers’ and writable smart windows. 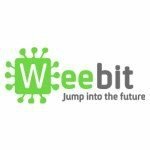 Once the RAD RTO is complete and Weebit is ASX-listed, it will be ready to zip into the storage market. Weebit’s tech can be applied in all electronic devices that require a memory function. Mass production technologies are losing their lustre and gradually tailing off, while emerging technologies such as ReRAM are gaining ground and likely to become the next frontrunner in memory storage circles. Weebit has positioned itself as a unique player that can achieve what end-users are cheering for – without breaking the bank. Weebit’s products are so cutting edge, they’ve already been rigorously tested in space missions by NASA. How could this tiny, private company be working with the likes of NASA? It has everything to do with who is pioneering Weebit’s technology... if technological supremacy is everything, then industry connections are the Next Best Thing. James Tour and the rest of Weebit’s management team are intertwined with the who’s who of global technology companies. James himself is in constant contact with executives from Samsung, Apple and other household names. Or, to be more precise, THEY are in contact with HIM! And take Weebit’s CTO and Lead Engineer, Amir Regev... formerly Senior Engineer at Intel AND SanDisk AND Micron. Weebit Director Rami Hadar is a founder of Combox, and former CEO of Allot Communications, another billion dollar NASDAQ listed company. During his 8 years as CEO, he led the company to a NASDAQ IPO and increased sales to over US$100MN per annum. Is the ASX listing via RAD a leap pad for Weebit to list on the NASDAQ at some stage in the future? Feeling a wee bit better about storage? Data storage is ballooning faster than anyone could have expected, including Gordon E. Moore, the man who coined Moore’s Law in 1965. 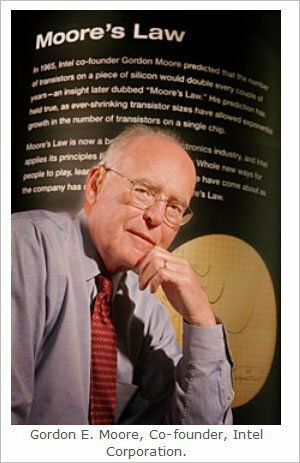 Moore’s Law is the observation that the number of transistors in a dense integrated circuit doubles approximately every two years. But today’s data storage requirements are exceeding that. The Internet of Things, the explosion in smartphone adoption and high-definition content as standard, have all combined to create a huge data storage headache for many businesses. For now, flash technology is barely getting it done with costs of maintaining and adding additional storage space at many large multinationals rising each year. Just like the VHS had DVD to take over its mantle and SDD drives are now replacing hard-drives, so the next step in extending the world’s data storage capacity is likely to be ReRAM. ...like jumping from Beta-max to Blu-Ray, like the quantum leap from the oven to the microwave. But just before that happens, all eyes are on RAD on the cusp of its transformation to Weebit.